Mr Tea needs one more flavour to add to the collection that I had written about in a previous blog, I did have full intentions of having the black tea as my “special occasion” tea and just using the other three (breakfast tea + the 2 new ones) as the regular teas but I do like even numbers and sometimes just can’t stop myself when I’m having fun. I think it is also great to just do a little extra incase something is not working out in the end and you then have an emergency back-up without experiencing the whole ‘end of world’ scenario. So I now have a range of 4 regular teas: black, breakfast, roobois and white, leaving me to make a completely different package (and flavour?) for the special occasion tea. 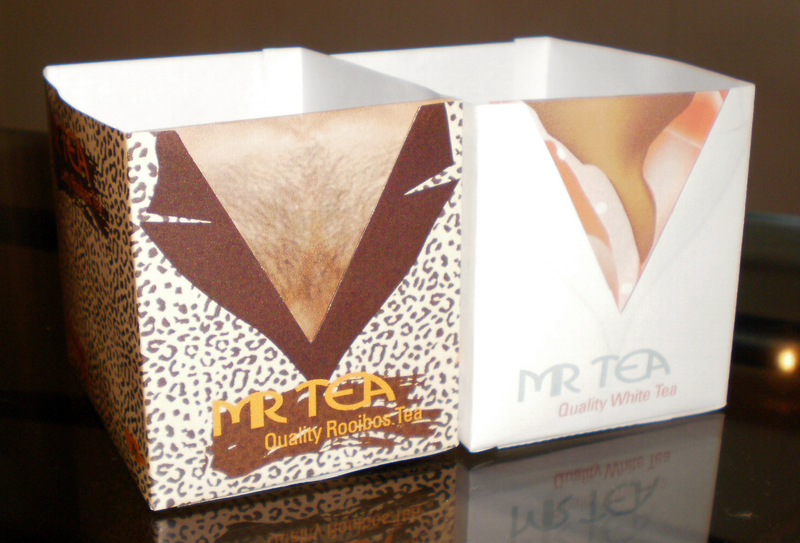 This is my two new packages, the first is the Rooibos, I just love the colours – just a little wild, and for the inserts which the tea bags will be individually wrapt in I have not given Mr Tea a shirt at all, the reason being that in my experience men who wear leopard skin suits are usually quite happy and comfortable with their swollen, hairy chests being exposed. I am tempted to go back into it and give him a bit of bling but really can’t justify the amount of time I would have to spend on such a little touch, I’ll just wait and see how much time I have before I take it to be printed, what do you think? 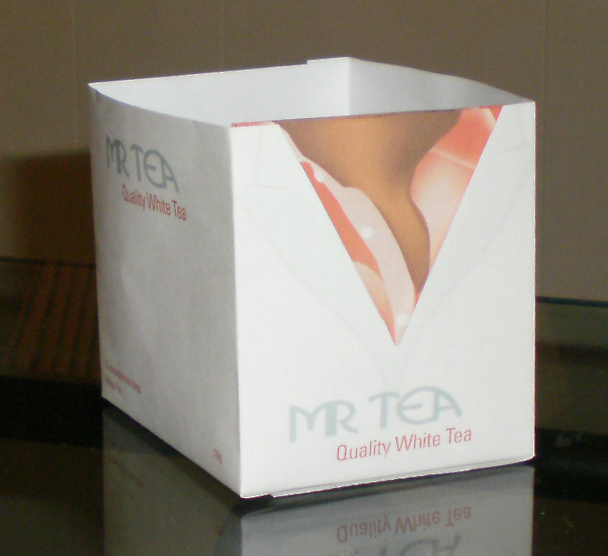 The next is for white tea, which is a little more civilised but I still had fun with reflecting the character of MrTea if he were to wear a white suit, sort of romantic, bit of a silk shirt happening on the individual tea bag wrappers and just a little chest exposing happening. The whole white thing was a little difficult but I realised that people still do wear white suits occasionally – usually it’s to weddings though, when they have no say in it.